The DfT has unveiled a two-year road safety action plan which features 50 measures designed to protect vulnerable road users, combat road rage and increase levels of walking and cycling. The action plan, published on 22 November, takes into consideration feedback from more than 14,000 people and organisations who responded to the Cycling and Walking Investment Strategy safety review call for evidence. Under the plan, councils will be given powers to tackle parking in cycle lanes, and encouraged to spend around 15% of their local transport infrastructure funding to boost walking and cycling. 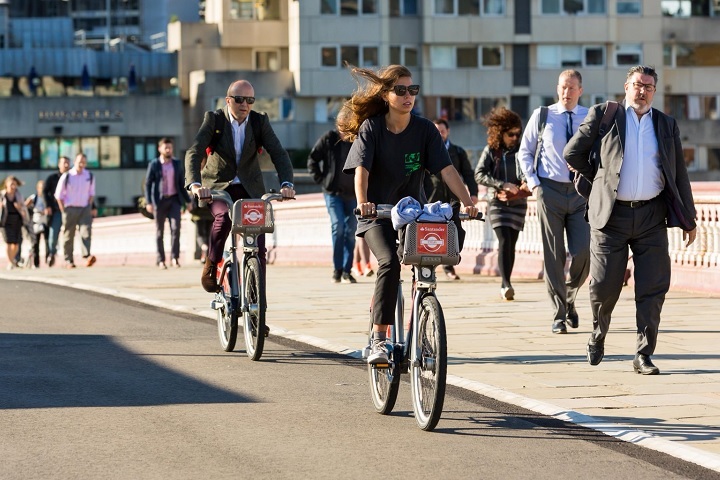 In a further effort to increase levels of active travel, the DfT will appoint a new cycling and walking champion, to ensure new policies meet the needs of all road users. The action plan will assess whether insurance companies could offer discounts to drivers and motorcyclists who have passed Bikeability training, and explore incentives for courier drivers who undergo training to learn how to drive safely alongside cyclists, pedestrians and horse riders. The DfT will also set up a new back office unit so that police can analyse video evidence submitted by the public. Jesse Norman, road safety minister, said: “The protection of vulnerable road users such as cyclists, pedestrians and horse riders is essential. The new action plan has been welcomed by two of the charities who provided feedback as part of the Government’s call for evidence – Brake and Living Streets. Joshua Harris, director of campaigns at Brake, said: “People who choose to cycle or walk should be able to do so in a safe and welcoming environment; active travel is not only great for personal health but public health too. Joe Irvin, chief executive of Living Streets said: “Too often people walking pay the ultimate price on our roads. This is unacceptable and we need opportunities like this to make our roads safer. “Looking to improve the Highway Code for walking and cycling, and appointing a cycling and walking champion can help make our streets safer for everyone. You fail to see my point. Many cyclists are actually being instructed by cycle charities and other organisations to actually take up his middle of lane position. So it’s that position that they are taught but also that there are now, in places, too many cyclists to fit into a mere yard or metre of road space that they have to ride elsewhere. One must remember that cyclists are not obliged by law to ride in the cycle lane where as if its a solid line a vehicle driver breaks the law if they ever enters into it but can use the cycle lane if its a broken white line though they are recommended not to. you have obviously missed my point all together. My point was cyclists are refusing to use cycle lanes, even though they are there right next to them, they much prefer to cycle on the road. Making it more dangerous for the cyclist and the motorist. But as far as positioning a cyclist further out towards the centre of the road to slow the flow of traffic is ridiculous. Let’s be honest that’s using a human being as a shield. For goodness sake get on the cycle lanes and use them as theyre supposed to be used. All that will successfully do is push the traffic across on to the opposite side of the road to overtake, and you know that is going to happen. Another point a forgot to mention was, yes, I do agree with number plates and insurance for cyclists. I think they should all have them. J.Greenwall The present advice re positioning for the safety of cyclist is to actually ride as a motorcyclist would that being towards the center of the lane. By this method they are no longer kerbside and in the peripheral vision of a driver but right in front of them so they have to see you. The benefits of this position is apparently that you are less likely to suffer overtakes as you are actually blocking them from overtaking. Unlike a motorcyclist that can keep up with traffic flow at higher speed [ generally the average speeds of a cyclist] so cyclists or cyclists can reduce traffic speeds and therefore that of other vehicles as well. I have been in road safety business for over 30 years, selling many reflective products for such users as mentioned in the report. We were saying the same things 30 years ago, and while it is welcomed that the report highlights these factors again, I hope this time around we actually do something constructive!! Good report. I’m behind you all the way regarding safety. HOWEVER! What about all the cyclists who refuse to use cycle lanes and cycle paths that the government have spent a great deal of money on. They prefer to cycle on the road and cause a greater danger to themselves. Even though there’s a cycle lane a matter of feet away. I think if there is a cycle lane, the cyclists should be made to use them by law. If they don’t they should be fined. If your going to get tough, it means get tough on everyone, not just motorists. Then maybe the roads will be that little bit safer for all users. After all, wasn’t that why cycle lanes were put there, to make it safer for cyclists? Employing more bureaucrats and increasing the level of fines and punishment is hardly a bold or new strategy. Well done… Well that’s two out of three of the most vulnerable road users sorted out then. Now when are they going to do something to reduce the dangers to the third most vulnerable road users, the motorcyclists…. apart from forget. Again. This is not the opinion of anyone to do with or associated to Road Safety GB but my own.